A #bodymerry Moisturizer that I am about to review today. I received the product in a bubble wrap enveloped through the USPS. I don't see any signs of damage due to the shipping and so I have the chance to use and review the product right away. 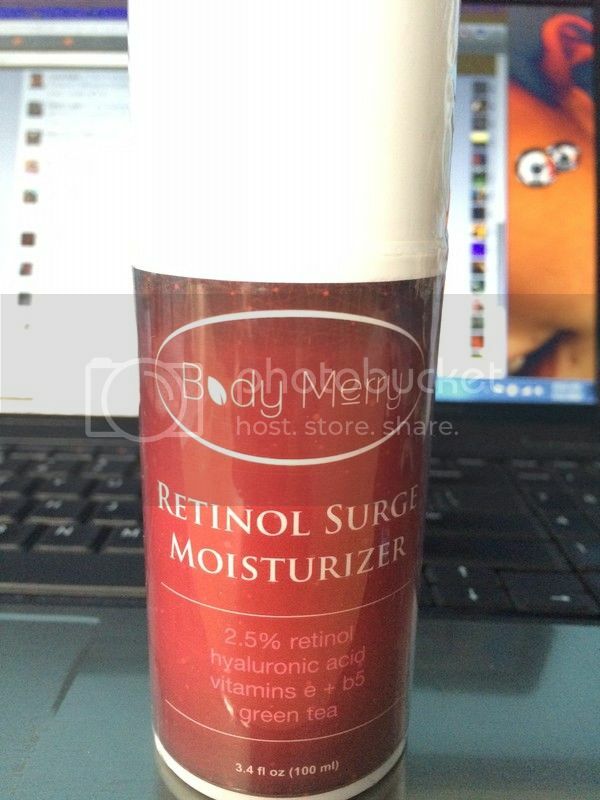 This 3.4 FL Oz retinol surge moisturizer is consists of 2.5% retinol, hyaluronic acid, vitamin e + b5 and of course green tea. Because I am breastfeeding, I am very thorough and cautious of the things I am using whether if it's beauty products, foods that I ate and more. I want to make sure that all this stuff won't contain nor pass through my milk supply that would also affect my child's health. With my searching about the ingredients, one main thing I want to know is how safe to use a product that contains hyaluronic acid. I have found some information online about it and even though there is little to no evidence pointing to fillers being dangerous or not dangerous. Therefore, just to be on the safe side, it's better that you don't get fillers at all until after you've stopped breastfeeding. To be honest here, I don't have a way of testing the product for now. However, I will review about the shipping and how the product came to me protected and safe. I mentioned earlier that I received the product in its best condition. I opened the item and the smell's like green tea. It dries easily when I used a small amount on my arms just to feel whether if it's greasy or not. **This is NOT a sponsored post, I did not receive any financial amount. I received the products for free in exchange of my honesty review. The outlook I expressed is 100% exclusively mine. I am using a Choice moisturizer right now and love it. I wonder how this feels like in your skin? Good call. Beauty products should be safe, and should definitely not pass any chemical, toxic or not to your child. Anything that can moisturize my dry skin Mommy N, am good with it. I will check this product. Thank you for sharing.